I always have no idea why Twitter is so popular. How can we express ourselves in just a few characters? I am glad I have found this challenge created by Kirsten, as I am sure I will learn more about Twitter and how to tweet better. 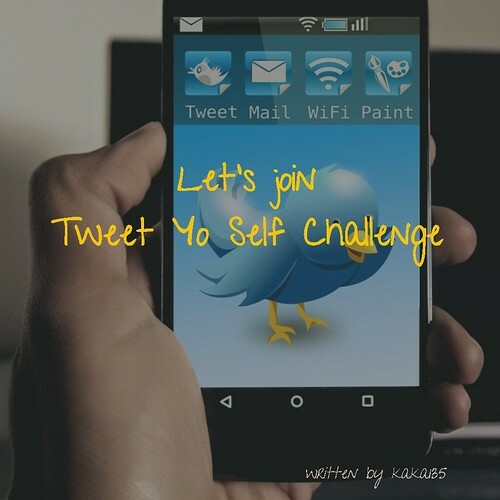 Would you like to join Tweet Yo Self Challenge?